1. Maintain or improve our ratings in key indices of social responsibility We held our position as media sector leader in the Dow Jones Sustainability Indices 2004 for the third year running. Pearson was also included in the Innovest ranking of the 100 Most Sustainable Corporations in the World, the top 100 in the 2003 Business in the Community CR Index and the FTSE4Good Indices. 2. Assess key printers and paper suppliers against UN Global Compact standards We have continued our programme of supplier visits in China, India, Malaysia, Australia, Singapore and Western Europe. We have also run a series of seminars with our main purchasing and production teams in the UK and US to incorporate the review of our commitments under the Global Compact into our terms of business. 3. Develop strategic community partnerships for key markets outside the US Our new Pearson Foundation has built a number of partnerships in countries such as Jordan, South Africa and the Philippines to share our educational programmes with young people who otherwise lack access to our resources. 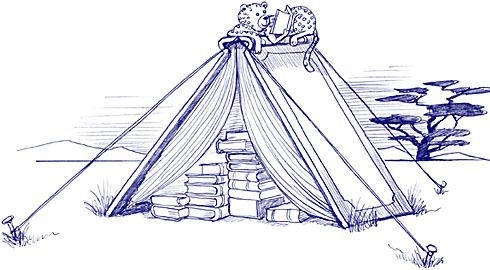 In 2004 we launched a three-year programme with long-term partner Book Aid International to encourage reading in East Africa through a series of mobile reading tents. 4. Work with UK book production companies to develop industry guidelines on labour standards and human rights in the supply chain Pearson, along with other major book publishing companies in the UK, has successfully worked on setting industry standards for Social Accountability. The standards follow the principles relating to labour standards set out in the UN Global Compact and have been endorsed by the industry trade association, the Publishers Association. 5. Reduce energy use in key buildings and review packaging and office waste Using 2003 as the base year, in 2004 we achieved a 4% reduction against our target of a 10% reduction in electricity and gas usage per square metre of our space by the end of 2008. Paper recycling facilities are in place for 46 of our top 50 buildings and we started to review our use of packaging. 6. Continue to invest in scientific research-based education products Last year we continued our commitment to provide scientific research to validate the educational value of our products and services. For example, in 2004 we commissioned 21 independent scientific research studies into our School maths, reading and science products. 7. Extend the reach of our management development programmes to more countries and parts of the business In 2004 we rolled out our senior leadership masterclasses around the world with 150 senior managers from Europe, the US, Asia and Australia taking part. In addition, each operating company has worked hard to improve their own management development, coaching and mentoring programmes around the world. 8. Introduce business targets and milestones for our diversity strategy To ensure that we continue to make progress against our goals we have introduced quarterly reporting where each head of business reports to Marjorie Scardino on diversity. Our progress in diversity was recognised by the Race for Opportunity survey where Pearson was named 'most improved company'.